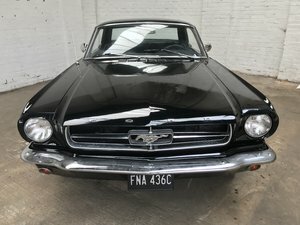 Here we have one of the most magnificent Mustang Fastbacks we have had the pleasure to offer for sale. 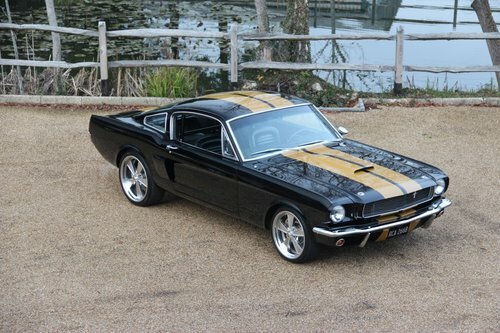 This car is a 1965 Ford Mustang Shelby GT 350 Hertz Tribute car. 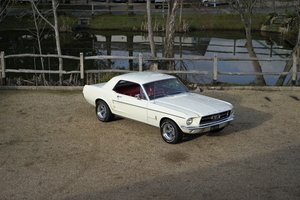 In 1965 the Shelby Mustang came to life with the introduction of the high-performance Shelby GT350. 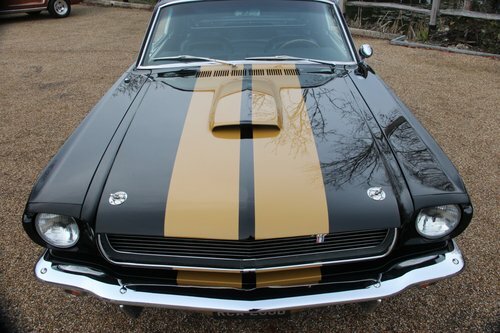 This powerful race-ready Mustang became an instant hit on and off the track. This car underwent a 10-year restoration. 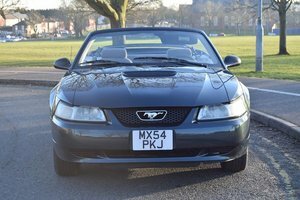 The donor Mustang has totally pulled apart and rotisserie restored with no expense spared. The body has been prepared beautifully and the coachwork of Raven black with Gold Le Mans stripes has a glass-like finish the stipe being painted first underlies the lacquer, so no ridge is detected between the black and Gold paint, as can be seen, the body is laser straight and the panel fit is superb. 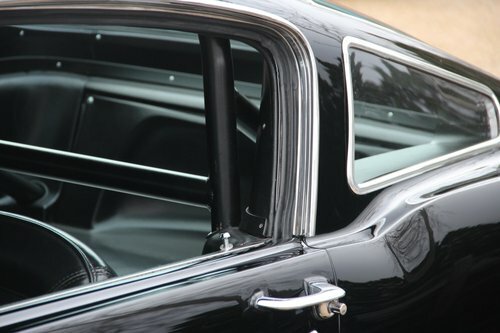 The detail of the Perspex port side back windows and the side scoops are also period correct. The exterior is finished of with a set of 20” back and 18” Chrome Billet speciality wheels. 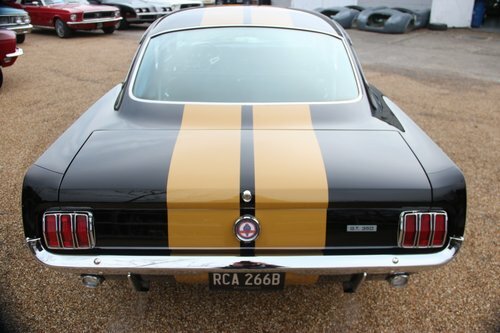 An original Hertz Shelby Mustang would now cost in the region of £150,000 to £200,000. 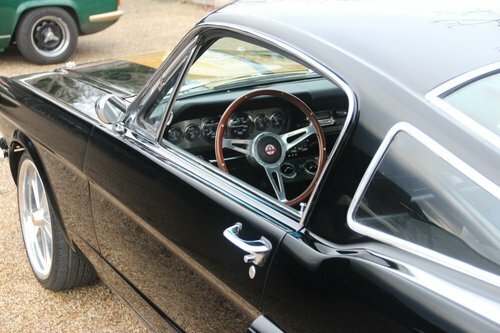 The interior is all new, it has the period correct black seats, dashboard headlining etc. Steel finish to the gauges. 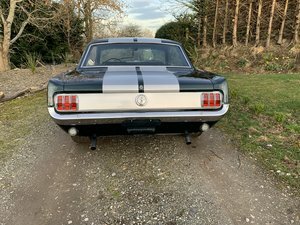 As with the real Shelby, it is rear seat delete and has a roll bar tastefully built in. The Air Conditioning is mounted under the dashboard and blows cold. The engine is again correct 289 which has been built with many upgrades’ performance cam etc. It sounds magnificent and you can imagine how it goes once up on that cam! The engine is dressed in Aluminium intake and Holley Carb. The exhaust flows through coated headers and a flow master exhaust. To keep it cool it has upgraded aluminium radiator. The A/C has been added and the placement of the compressor and lines has been done professionally. 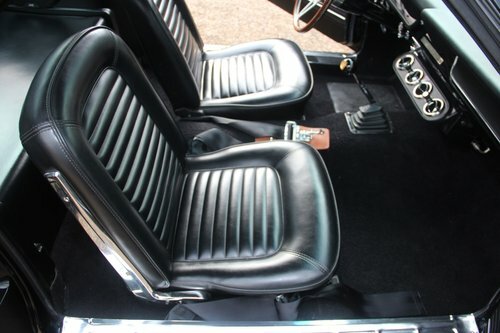 The Manual Transmission is a modern 5 speed which certainly helps modern driving conditions. This is mated to a 9” positronic differential. The underside of the car is solid throughout all the front end suspension shocks etc all has been renewed with a sway bar added. The rear suspension has also been renewed. In order to stop this powerful Mustang, all four wheels have Baer drilled and slotted power disc brakes added. 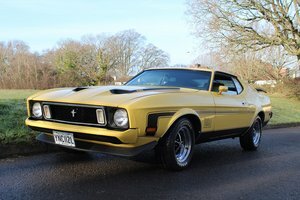 This Hertz Tribute Mustang is not for the faint-hearted and has been built to a superb standard. Undoubtedly a show winner or con-course de elegance entrant. We would humbly suggest that this is possibly one of the best examples in the U.K. today.